Are you working too hard or facing constant deadlines? Do you find it difficult to get others to do what you need them to do? Do you reason with yourself in the following way: if only x happens, my problems will vanish? And yet no matter how hard you work, that magic ﻿﻿corner remains﻿﻿ illusive whilst you feel tired and in doubt whether you can really make it? ​The good news is: I can teach you to become a director of your mind so that you feel empowered, think resourcefully and connect with others more genuinely and with far better results! 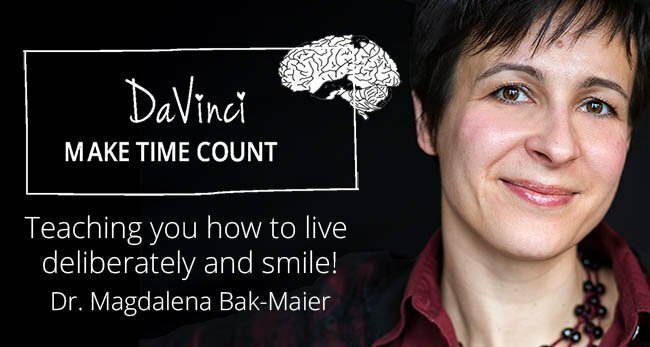 Sign up to my FREE mini Da Vinci course and see exactly how connecting passion with logic will get you fully aligned to create success and recover the joyful creator inside you.